“We’ve got a copycat killer on our hands, and this one isn’t just playing games!” Your orders are clear detectives: go search the last known whereabouts of our latest victim, gather the information you need, and get back here on the double. Simple enough right? If you think you’ve got what it takes to stop Hamilton’s most recent serial killer, then we advise checking out Alcatraz’ latest offering: “Let’s Play A Game”. Before we get ahead of ourselves, let’s break it down in true detective style starting with the pre-room experience… Alcatraz has expanded since our last visit, but the new building is only 10-12 storefronts separated from their original location and easy to find. “Let’s Play A Game” is in their new location. Full sized wall murals, comfy couches, refreshments, a tv, and table-tennis are just a few of the amenities offered. Our team noted the style and layout was very similar to their university dorm rec-rooms which brought some nostalgic feelings back. Families with children should note there’s some incredibly well designed latex masks of creepy figures for those who are a bit skittish. Ideally “Let’s Play A Game” would have started with a pre-room taunting note or video from the serial killer, but the basic story intro by the staff was enough to get us going. So then… we’re were off to a solid start! Room quality is the star of the show with this game! Without giving too much away, you’ll be moving through different environments and within each you’ll quickly notice no details were spared. Incredible set designs, quality building materials, and attention to all the little nuances needed in between. It’s almost a shame we can’t spend more time talking about this aspect of the room (but we don’t want to even slightly hint at what you’ll see and experience). Suffice to say, this is top tier room design! The only issue we had was one mechanical part needing to be better labelled and implemented, but it’s an easy aspect to fix and they mentioned it would be tweaked before the general public sees the room. The audio was also a bit difficult to hear but this too will hopefully be improved before the general public plays. Following the build quality was the immersive quality of the room. If the hairs on the back of your neck aren’t raised a little by the time you’re done, it might be a good idea to check your pulse. Simply saying this room is immersive feels like an injustice. Again, there were a lot of little details that enhanced our player experience that most players (and probably even enthusiasts) wouldn’t notice. The variation and use of lighting, sounds, and other tactile sensations kept us alert and paying attention at all times. By the end of the game we felt like we genuinely accomplished an adventure complete with an emotional journey. Now of course there were a couple things we would’ve liked to have seen a bit more of. The story is engaging but more development throughout would’ve been even better. Also a few more tense moments added through surprises, sensory stimulus, or anticipation would definitely make this impressive experience even better! As we said though, this is a top notch immersive environment that needs to be experienced in order to truly appreciate all the things that have been designed for your enjoyment. The puzzles and challenges we faced probably caused the most amount of debate within our team. On the one hand, there were a lot (really a lot) of 4-5 digit and key locks to open. 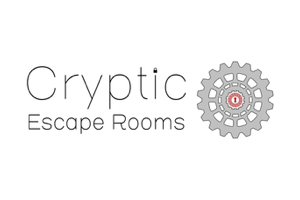 A couple people on the team felt a return to the ‘early days’ of escape rooms in North America through the return of lock fatigue within the room. The counterpoint some of us had however was how all the locks fit within the context they were used which is completely fine. This isn’t a case of stupidly placed locks on a teddy bear, mug, or some other location that makes no sense. The pros for the many puzzles you’ll find continue from there… They were inclusive, required a good variety of skills, and further required us to go outside our comfort zones. 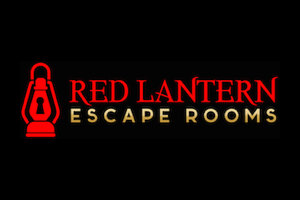 If you’re relatively new to escape rooms, you’ll want to add 1-2 experienced players on your team, to help solve, search, and complete the tasks at hand because there are quite a good number of tasks to complete. The clue/hint system used also impressed us because of how thematic and immersive it fit in with the game. Again, an above average experience for puzzles and something we enjoyed! But now the answers we all want: Was it fun and would we recommend it? YES and YES! 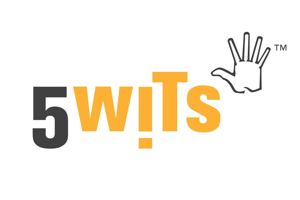 “Let’s Play A Game” is incredibly fun, engaging, and visually impressive! The sights, sounds, and quality that went into making this game are evident. Seriously, how many companies use REAL graffiti taggers in order to have an authentic experience? Now mind you, this room isn’t for everyone. This is a definite no-go for kids, those who are sensitive to visual imagery, or small groups of inexperienced players. All other groups are going to really enjoy this game…. You have your assignment detectives, now go stop that serial killer!